Clean Well Water Report: What is the Difference Between the Pro-OX-5900-AIR Iron Filter and Other Air Charger Iron Filters? What is the Difference Between the Pro-OX-5900-AIR Iron Filter and Other Air Charger Iron Filters? "What is the difference between the Pro-OX-5900-AIR iron filter and the other Air-Charger or Iron Breaker iron filters?" gallons of water per year over traditional air charger iron filters. 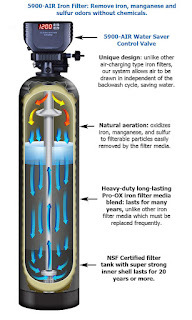 The other difference is we are using a more powerful oxidizing and effective filter media in the system. Additional details can be found below on this system. 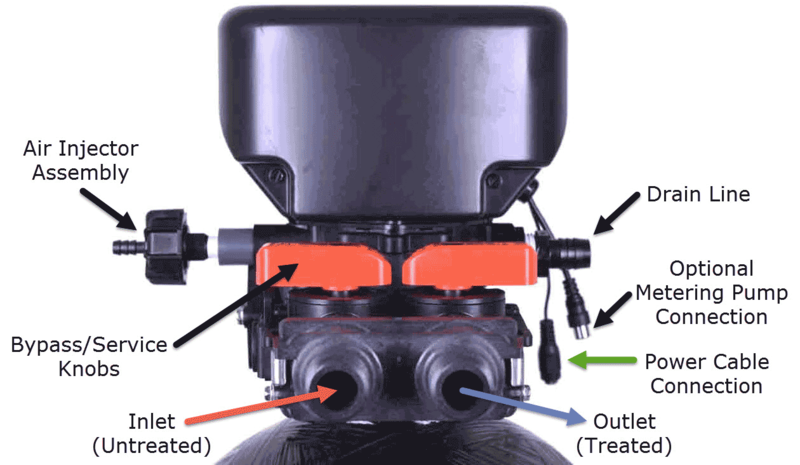 The Air-Charger system is unique as doesn’t use any chemicals during the back-washing process. As the water passes through the air-pocket any iron, manganese, and sulfur odors are oxidized for filtration by the Pro-Ox media. Pro-OX Manganese Dioxide media is an NSF Certified natural highpurity medium which utilizes an oxidation-reduction reaction and filtration process similar to Greensand, but at a much higher level of performance. Pro-OX has a much higher surface area and is much more porous than Greensand, and also lasts much longer (usually between 10 - 12 years) compared to around 5 years maximum for Greensand and other filter medias. 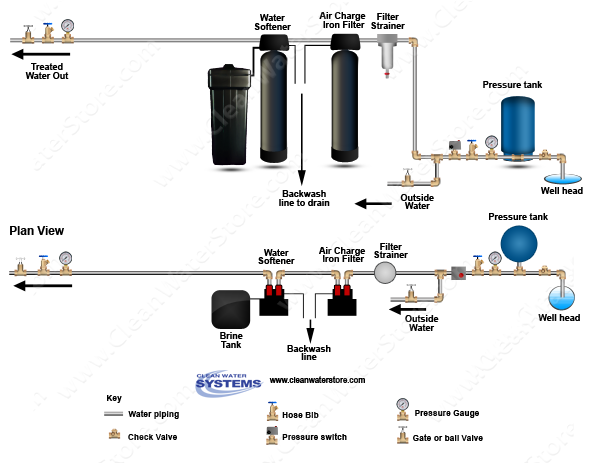 These systems are fully automatic and use the reliable 5900e control valve for dependable filtration with minimal maintenance requirements along with being quite user friendly in operation. As an option, you can also use a Rusco spindown filter which would be installed upstream of the Iron filter so as to protect against sand/sediment from entering the control valve and cause unwanted problems. You can also use this to shock the filter/house with chlorine from time to time as will help with odor buildup as well as improving the filters cleanliness. This uses a mesh screen thus no filter cartridges that need constant servicing. Simply flush the valve for 10 – 20 seconds as needed and done. 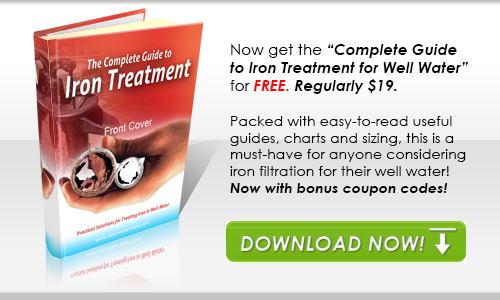 A water softener can be used as an option after the iron filter, if the water is high in hardness minerals. This system is sized for a home with 3 bathrooms however smaller and larger sizes are available. 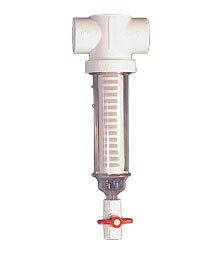 Rusco Spin Down Filter 1" Pipe Size, 1" SxS Port (Slip x Slip, for PVC pipes or glued connections), 100 Mesh (152 Microns).